Welcome to the second edition of our newsletter. It has been an exciting winter season with the launch of memorable international exhibitions and projects at the Museum, which we have outlined for you below. Several special visitors including Nick Serota, Director of the Tate, London and his wife Clare, Glen Lowry, Director of MoMA and Richard Armstrong of the Guggenheim Museum, New York, have visited us and we share their views with you. After six months of furious activity we opened the Museum Plaza with the launch of the BMW Guggenheim Lab. The Plaza almost doubles the space of the Museum and will be used for extensive outreach, education, theatre, performance and other projects. Our Modern and Contemporary Art course has commenced its second year with 18 new students and we are proud to note that one of our alumni has joined an important art magazine and another, Sahej Rahal, won the prestigious ZegnArt residency to the Macro Museum, Rome. We would like to encourage you to respond to our initiative, so do tell us what you think and if you would like us to add anything to the newsletter. 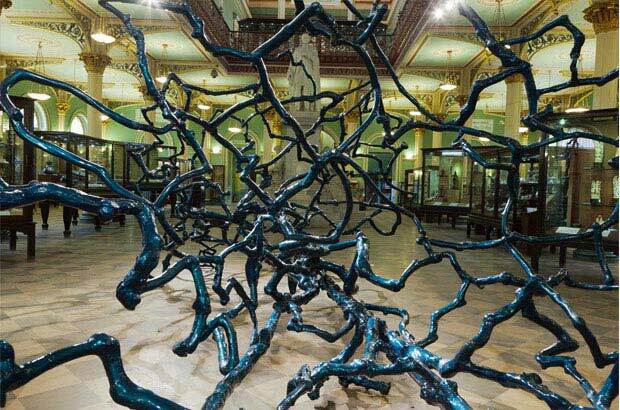 The first major exhibition of works by artist Ranjani Shettar in Mumbai showcased large installations that draw inspiration from natural forms, recalling the surreal beauty of magical creatures and sensuous landscapes. Shettar’s work acquired an entirely new significance when contextualized within the historic Museum. Founded in the 19th century, the Museum collection was significantly influenced by the contemporary fascination with natural history, botany and horticulture of the colonized lands. In particular, Shettar’s titular work, High tide for a blue moon, is evocative of these early interests. Positioned like a giant skeletal form, in front of the statue of Prince Albert which is flanked by the Muse of Science and the Muse of Art in the Museums main entrance vestibule, the work became a contemporary allegorical representation of the relationship between the two. The artist’s sensitivity to her natural surroundings is reflected in her use of materials; her works draw upon locally cultivated coffee wood, tamarind kernels, rosewood, teak and cotton. Far from the empirical approach of the past, driven by collecting and classifying, Shettar’s artistic oeuvre draws upon sensory experiences, however it is significant to note that her natural, fairy tale world of lights, shadows and floating sculptures is constructed through a scientific, technical process. Shettar negotiates a delicate balance between light and shadow, the fragility of her installations are emphasized by the intricate shadows that continue on the gallery walls, playing with notions of both three and two dimensional space. 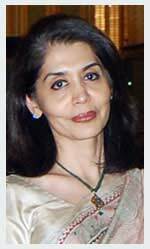 The exhibition was curated by Museum Director, Tasneem Zakaria Mehta, and supported by the Talwar Gallery. Presented by the Museum in collaboration with Lakeeren Gallery, Anita Dube’s compelling new exhibition, Labryinths, wove together texts that hold special significance for the artist. Writings by Kafka to Pasolini form the body and text of the art works which spanned the Museum’s Special Project Space I. Dube’s works are seeped with a heavy melancholia in juxtaposition to the delicacy of the form. The show operated as a caveat to a generation trapped within the never-ending ‘labyrinth’ of bureaucracy and consumerism, with a central work that reminded the viewer of lessons unlearned from Hiroshima, ominously spelling out ‘kaal’ or the end of time. Installation view of Kaal, 2012. The Lost Museum: The Fate of World’s Greatest Lost Treasures, an exhibition of works by artist Shaurya Kumar at the Museum’s Special Project Space II was a collaboration between the Museum and Lakeeren Gallery. Kumar’s artistic practice focuses on creating works which appreciate and appropriate new media while highlighting the dangers of its longevity, and explores the disconnect between the virtual world and reality. The exhibition traced the fate of countless artworks across the world that have been condemned to obscurity, destroyed during military action, or at the hands of ever-changing political regimes. Each piece represented a work of art that was destroyed — and whose attempted documentation was lost yet again, this time because of the constant, rapid and invisible change in the process of archiving itself. Twin Towers of the World Trade Centre. Part urban think tank, part community center and public gathering space, the BMW Guggenheim Lab is a mobile laboratory travelling to cities worldwide. Led by international, interdisciplinary teams of emerging talents in the areas of urbanism, architecture, art, design, science, technology, education, and sustainability, the Lab addresses issues of contemporary urban life through programs and public discourse. Its goal is the exploration of new ideas, experimentation, and ultimately the creation of forward-thinking visions for city life. Presented in collaboration with the Dr. Bhau Daji Lad Museum in Mumbai, the BMW Guggenheim Lab offered programmes that addressed challenges and opportunities related to public space and the choices Mumbaikars make to find a balance between individual and community needs. The approach is part of the ME = WE programme, developed to generate new insights, with and for Mumbaikars, with potential to inspire other cities. The Lab offers projects, studies and design proposals that reflect Mumbai’s unique conditions. For more information visit www.bmwguggenheimlab.org. The Lab week began with rangoli art, gajra baagvani (floral decorations) and kandil (candle) making sessions where visitors were invited to help decorate the Lab site in the Museum Plaza. Public participation in local craft activities transformed the Lab into a community centre. On weekends, visitors were invited to participate in surveys documenting people’s perspectives about public spaces, privacy and the urbanization of Mumbai. In a unique survey, sensory information was recorded by machines connected to participants who were led on a tour of Byculla in order to understand their physical reactions to the city. A diverse set of programmes were designed to engage and encourage participants to explore and learn about their urban landscape and social fabric. A film series which included short films and Bollywood movies explored issues about Mumbai’s changing cultural landscape. A special women’s only event focused on issues relating to gender and public space. A series of 10 panel discussions, called Meet in the Middle, brought urban planners, grassroots social workers, government officials and industry experts to discuss infrastructure, transportation, housing, urban planning and green spaces in Mumbai. The Lab also explored Mumbai through culinary tours and conversations on the diversity of food habits - over a good meal! As part of the Lab, the Museum conceptualised and conducted special programmes for families and younger audiences, which are highlighted below. The city’s history and stories came alive through the voices of its people in a first of its kind puppet show titled Stories of Mumbai. Conceptualised and produced by the Museum in collaboration with professional puppeteer Meena Naik, the show used handcrafted puppets and creative backdrops to trace Mumbai’s development from a group of seven, sleepy islands, to the modern megapolis it is today. It highlighted themes of trade, migration, development, opportunity and cosmopolitanism. The show also focused on the future of Mumbai, discussing the diverse environmental and social challenges the city and its people face. Stories of Mumbai received a tremendous response from the Lab’s regular visitors, as well as several school and NGO groups. The Museum plans to take this programme beyond its walls to stage it in Mumbai’s schools, making it accessible to a wider audience. As part of the BMW Guggenheim Lab, the Museum conceptualized a collaborative origami art project where children aged 10 and above worked together to create an ideal Mumbai. Working with professional origami artist, Himanshu Agrawal, the Museum staff organized a series of origami workshops at sites across the city, each of which focused on a particular aspect of urban planning – transport, flora and fauna, housing and infrastructure. 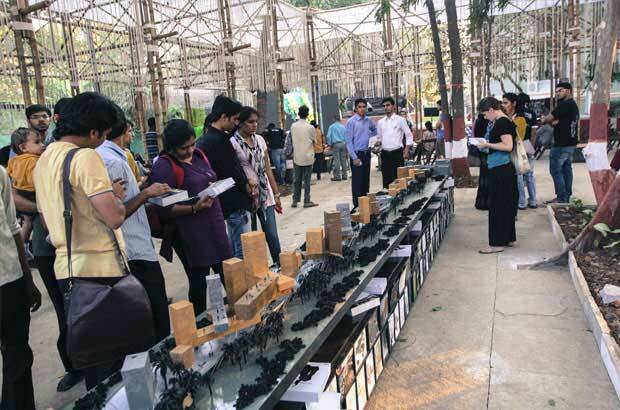 Participants from each workshop were invited back to the Lab at the Museum to collectively assemble an urban landscape that reflected their vision of Mumbai’s future landscape. The origami city art work will remain temporarily on display at the Museum Plaza. The Museum is partnering with ZegnArt Public, an arm of the Ermenegildo Zegna Group that works within the contemporary cultural arena, on an exciting new project which spotlights dialogue on the nature of public space, and the role of art in that space. The concept of Public Space can be construed in a variety of ways; it can be a platform for negotiation and debate or as a site of resistance and dialectics. The mission of ZegnArt Public is to explore these interpretations within varied social and cultural contexts. Mumbai is the first city selected for the ZegnArt Public project. The collaboration with the Museum was developed on the basis of a shared vision of art as a defining factor to build awareness in the community. Artist Reena Kallat has been selected by the project jury as the winner of the first edition of ZegnArt Public to conceptualize and create the public artwork. The work highlights the relationship between public space and the city's history, both from a formal point of view, as the work will be exhibited on the main facade of the museum, and in terms of content through an exploration of street names exploring colonial and post colonial tensions in the city. The other submissions by artists Alwar Balasubramaniam, Atul Bhalla, Gigi Scaria, Hema Upadhyay, Sakshi Gupta and Srinivasa Prasad will be on display at the Museum’s Special Project Space (SPS). This exhibition will offer a comprehensive view of the proposals made by some the best young Indian artists today and will expand the dialogue on the role of art in the public space. The new Museum Cafe aims to showcase the cuisines and culinary diversity of Mumbai and its people. The Cafe offers visitors to the Museum the opportunity to relax whilst enjoying Parsi, Maharashtrian, Gujarati and other delicacies in a lush outdoor setting. Located in the Museum Plaza, the new Museum Shop draws inspiration from the Museum's permanent collection. Bidri card holders, brass statues, paper mache boxes, specially designed Mumbai map coasters and puppets based on Mumbai's communities along with a variety of Museum inspired mugs and bags are some of the fun things you can find here. The Museum’s new Education Centre is located at the Museum Plaza in a space that used to be a dilapidated store room. The building has been completely transformed internally into an intimate centre for lectures, seminars and audio visual interactions, while retaining its exposed brick facade and Victorian sensibility. Public programming at the Education Centre will begin in March 2013. The Museum hosted a special evening with the Library Council of the Museum of Modern Art, New York on Sunday, January 20. The Library Council is a group of Museum trustees and patrons, whose contributions benefit the historic and contemporary research collections in MoMA's Library and Museum Archive, giving artists an opportunity to experiment with the book as an art form. In 2012, the Library Council commissioned Varsha, a specially printed limited edition book, by artist Ranjani Shettar. Varsha is an accordion-folding book, bound in hand-worked metal, which evokes aspects of the 16 phases of the monsoon and the classical Indian astronomy used to predict it. Anita Desai contributed an original essay for the project, published in a brochure that accompanies the artist’s book, along with poetry by Bhavabhūti and Rabindranath Tagore and the lyrics from a Kannada folk song. The MoMA Library Council gifted an edition of this book to the Dr Bhau Daji Lad Museum, marking a significant milestone in the Indian cultural landscape. Following the presentation, the artist engaged in a conversation about her practice with cultural critic and editor of the magazine IQ, Madhu Jain. The Museum is pleased to announce that Quintessential, the exhibition by artist L.N. Tallur, curated by Museum Director, Tasneem Zakaria Mehta, and presented at the Museum in December 2011 has been awarded the 2012 Skoda Prize. Quintessential was part of the ongoing ‘Engaging Traditions’ series, which seeks to foreground artists whose practice alludes to traditions but contemporizes their context and meaning. Using Einstein’s theory of relativity as his starting point, Tallur hypothesized that objects acquire a “5th dimension” when they are “museumized”. In today’s modernized world, as new hegemonies replace the old, has the Sanctum Sanctorum shifted to the museum? The exhibition’s titular work, pictured above, borrows from the stone Elephant, originally located on Elephanta Island, which now stands at the entrance to the Museum’s East Garden. One of Mumbai's most significant artefacts, the original was shattered in 1864 during an attempt to transport it to England. The pieces were brought to the Museum and restored. In the exhibition, audiences were invited to reconstruct Tallur’s wooden elephant which had been made and then cut into several pieces, using the live virtual transmission of the original in the garden outside as a guide, much like a child pieces together a puzzle. The Museum is pleased to announce that the Post Graduate Diploma in Modern and Contemporary Indian Art History for the year 2013 has begun. The first in India, the course encourages new readings of Indian Modern and Contemporary Art. Lectures and field visits are held on weekends, making it accessible to a wide range of working professionals in the city. free, open-to-public lectures every Saturday evening continues this quarter. Lectures are conducted by eminent scholars who present the latest research in the fields of history, art history, culture and museums. Recent lecturers have included Annapurna Garimella, Kavita Singh, Naman Ahuja, Ram Rahman and Rupert Richard Arrowsmith. Open-to-public tours of the permanent collection and special exhibitions are held regularly on Sunday mornings. The themes for the tour change every few weeks, giving visitors the opportunity to return and participate in tours on a regular basis. The Museum also offers private tours for groups upon request. This detailed wooden reproduction of the S.S. Siam, which is on display in the Museum’s Industrial Arts Gallery, dates back to 1897. The ship was in the dry docks at Mazagaon for the repair of a broken shaft, when a young apprentice named Dayal Kanjee modeled a version of it in miniature. At the time, the S.S Siam was owned by the Peninsular & Oriental Steam Navigation Co., the British Shipping Company, and used to sail between London and Australia, via the Middle East and India, carrying both passengers and cargo. On one of its journeys it carried a collection of Museum objects for an exhibition in Sydney. It is also believed to have participated in the in the India-East Asia trade. The P&O, one of the largest shipping companies in the world, was one of the first to realize the potential of travel for pleasure, in an era where trade and commerce was of utmost priority. The company began operating luxury cruise lines marketed towards the general public, who were just beginning to discover the possibilities and allure of globetrotting. At the Museum, the S.S. Siam is displayed alongside Lakadi Bunder, a painting of the area now known as Girgaum Chowpatty, by the Sir. J.J School artist, A.M Mali. Historically, Lakadi Bunder was a landing dock, where boats arriving on Bombay Island would disembark. This is one of the highlights of the Museum’s painting collection and was valued at a remarkable 20,000 rupees in 1947! David Van Der Leer, curator of the BMW Guggenheim Lab in Mumbai, shares some experiences and favorite moments from the project. First of all, let me say that it has been a pleasure to be here in Mumbai and to work with the Dr. Bhau Daji Lad Museum staff on our rather intense Lab project. It sounds silly, but one of my favorite moments during the Mumbai Lab was when the ping pong table arrived at the Lab site at Priyadarshini Park. It was great to see people just stopping by the Lab site for a game of ping pong or carom. The Lab is intended to be just this sort of space for people to hang out, a sort of community centre. So, often its little things like a casual game with friends, more than just high-level programming - as fun or as serious as it might be - that makes this project better, and more productive. If people come in one day to play, they often stop in the next day for a more serious program. We are really happy with the many projects we got out of this Lab, such as the Kala Nagar Junction Competition. Elements of some of the competition proposals will be implemented by the city over the coming years which makes the Lab more practical with greater impact on the running of the city, rather than just on the conversations about the city. More and more projects in the cultural circuit focus on a more bottom up approach – but sometimes, and perhaps in the case of Mumbai especially, real change can only be effected at the higher, infrastructural level that is why I think this competition marks a very important moment for the Lab. To end, one of my favorite, and rather humorous, ideas that emerged from the Lab came from Sachin Tendulkar. During his visit to the Lab site at the Dr Bhau Daji Lad Museum, in response to the incredible amount of honking in the city, he suggested that every car gets a meter that limits each car to 10,000 honks, after which the owner must pay every time he touches the horn! Can you imagine what this could mean to reduce stress levels in the city?